I chose SUCCESS at the start of December. I was seeing it everywhere, as I went about completeing the blogging course I was taking, in everything I was reading and feeling as I reflected on the past year. It felt right. 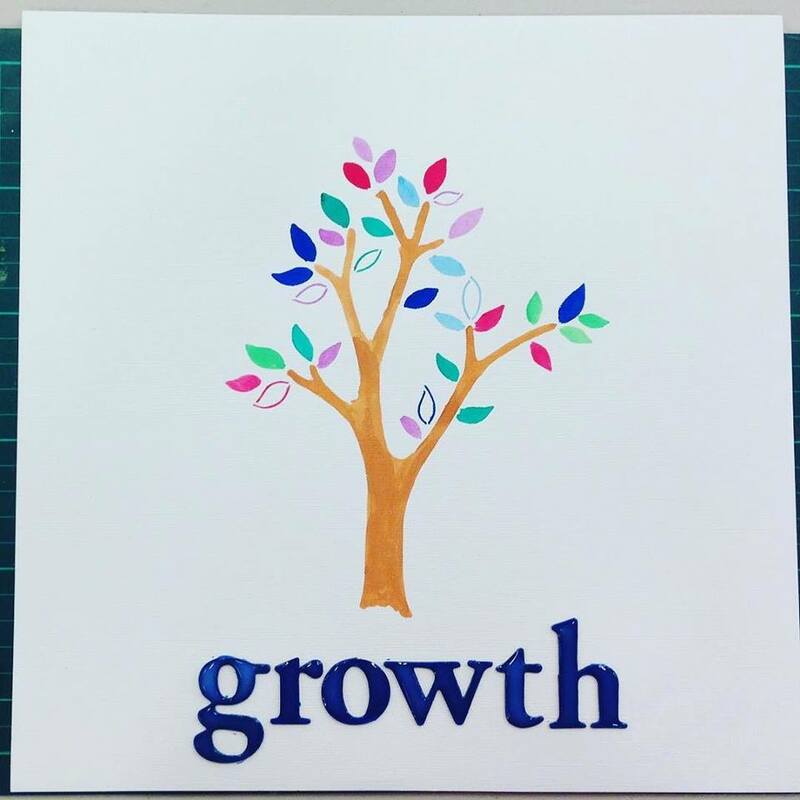 But as I wandered around my local scrapbook shop just before Christmas, reflecting on my word and how I would fit it into my creativity in the new year, I stumbled on this tree template and got the biggest smack in the head from myself! I was looking at the wrong word! GROWTH was the word that I really needed to be looking at. GROWTH as a person who has belief in herself. GROWTH through this space. GROWTH as a parent of a teenager (and tween, child, almost-not-a-toddler), GROWTH was the better word. Have you chosen a word for your year? A word with lots of rich possibilities - wishing you every success with it :).